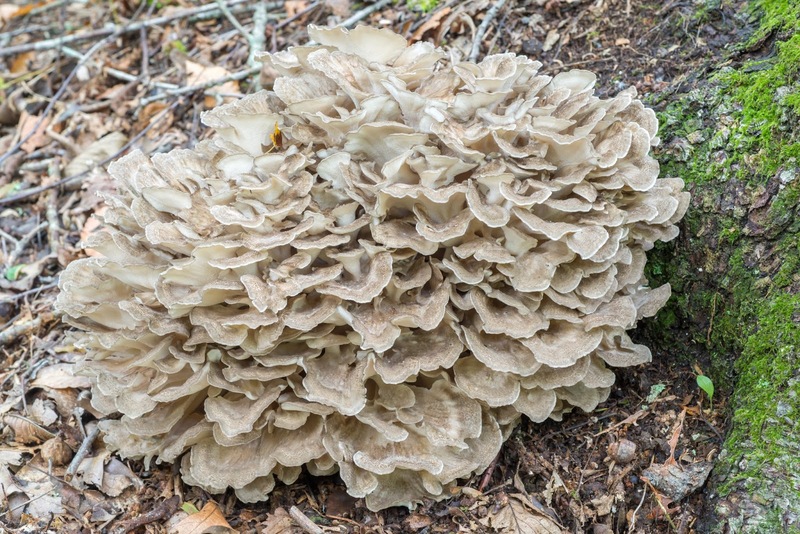 Hen (Grifola frondosa) season is in full swing after a small weather delay in southern New England. Our dehydrators are going day and night, filled with jerky, leaving me with lots of leftover "bits" to cook with. 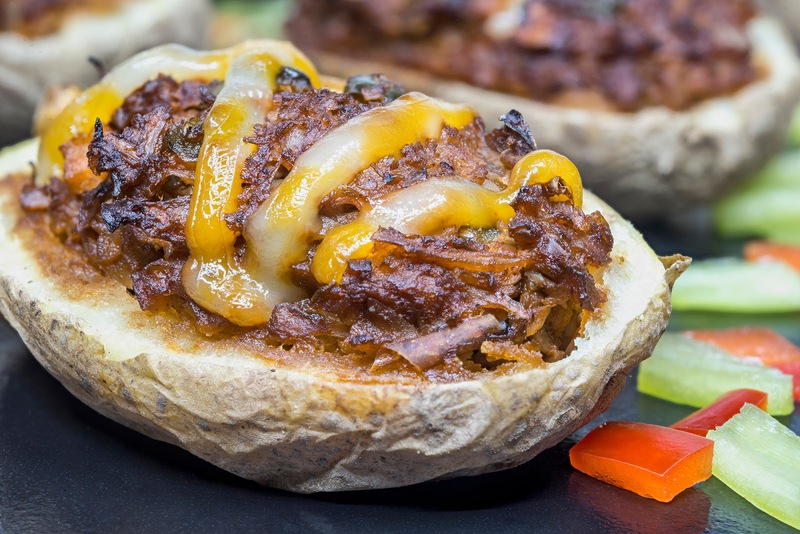 Here I made some meatless chili, with ground hen, poblano and sweet peppers, smoked chilies, onions and garlic, spices, and a bit of tomato sauce, and stuffed it into some baked potatoes with some melted cheese. 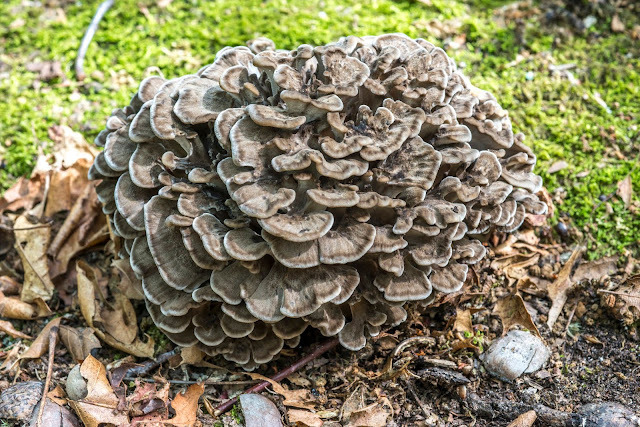 Hen-of-the-woods are known by several different names depending on your location, we like to call them maitake, the traditional name used by the Japanese which means "the dancing mushroom", because you may dance with joy if you find one. In the midwest they call them sheepshead or ram's head mushrooms. Some Italians call them signorina. They are a type of mild saprobe, rotting the roots of sick or dead hardwoods, 95% of the time it's a red oak in our area of southern New England. 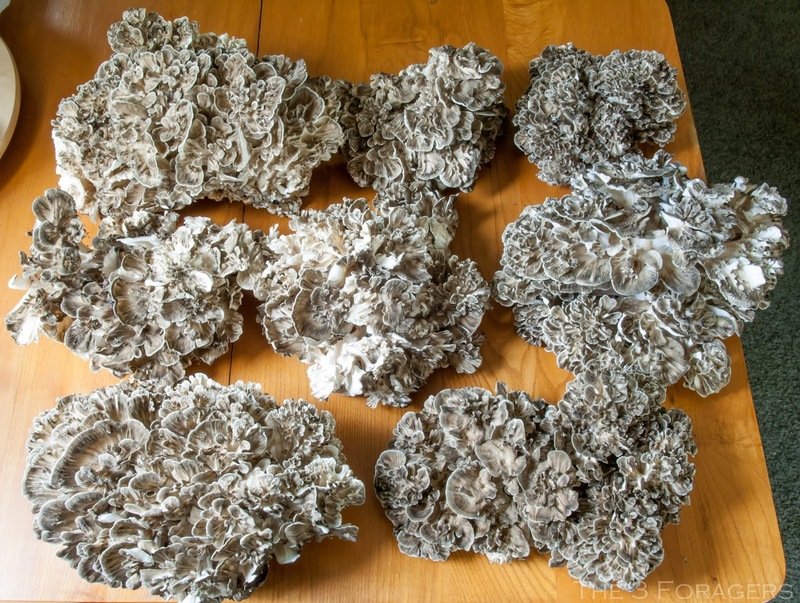 They can be cultivated, and if you find small maitake for sale in your local grocery store, they are likely cultivated. 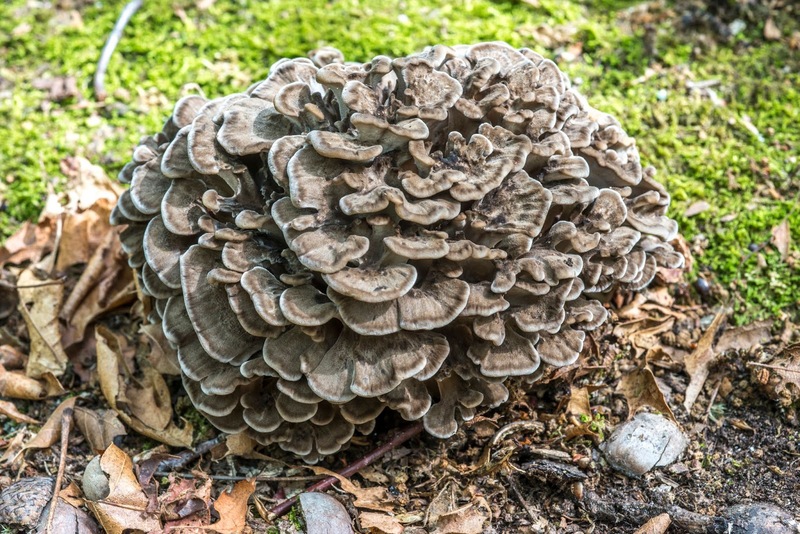 Maitake are one of the safer and easier polypores for beginners to identify and have a definite season from the last week or so in August through November, based on the weather becoming cooler. This has been a very warm autumn, so they have been very late, not showing up in our area until the third week of September. Maitake have many small fronds attached to a main stem or core. Each petal or frond has small pores on the pale, white or cream colored underside. The color of the fronds can vary from a light grey to dark grey and many shades of brown, and other environmental factors matter, like how much sunlight or rain the mushroom has been exposed to. 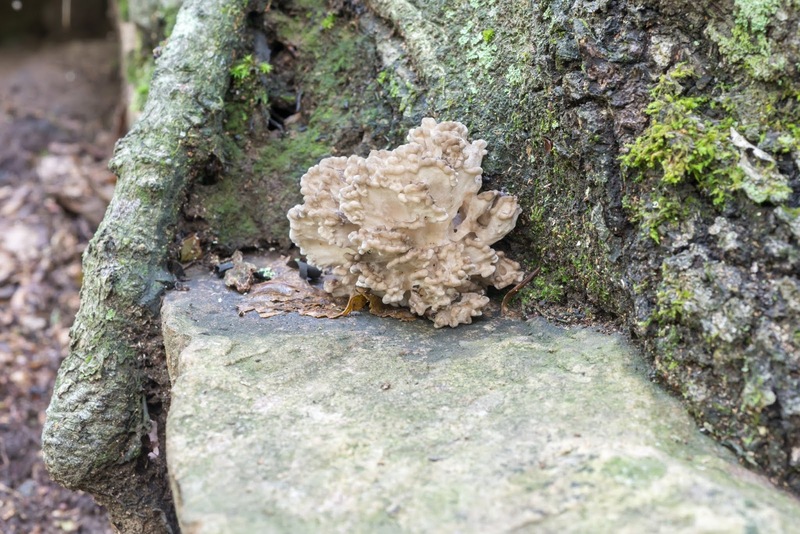 They can be tricky to spot at first, but look like a small chicken resting at the base of a tree, or a small pile of leaves. We use a knife to cut them away from the main stem and trim away any debris. If there is evidence of maggot tunnels, we remove more mushroom stem. If there is a lot of debris embedded in the flesh, we don't bother to take the mushroom home; maitake are so abundant we can afford to be choosy.